Are you somewhere that you will want to reference later, or do you want to return to your location in the future but aren’t sure that you will remember it? A good way to handle these situations if you have an iPhone is to use the “Mark My Location” feature in the Maps app. This lets you drop a pin on your current location so that you can find it again in the future. 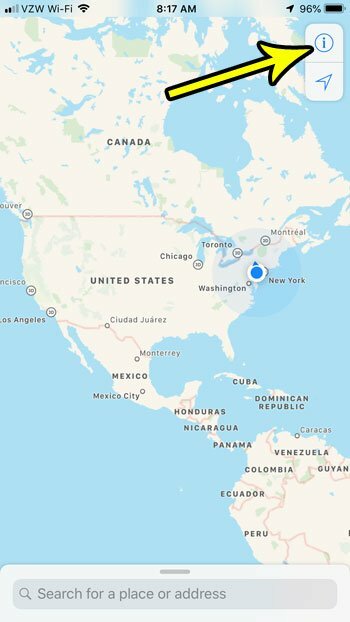 Our guide below is going to show you how to use this feature in Apple’s default Maps app, allowing you to find places again, or to share them with other people. It’s a really handy tool that you may find yourself using a lot in the future when you realize how useful it can be. The steps in this article were performed on an iPhone 7 Plus in iOS 12.1. By completing the steps in this guide you will be placing a pin in the Maps app on your iPhone that identifies your current location. You can then tap on this pin in the future to get directions to it or share it with someone else. Step 1: Open the Maps app. Step 2: Touch the i button at the top-right corner of the screen. Step 3: Tap the Mark My Location button, which will place a pin on top of your current location. 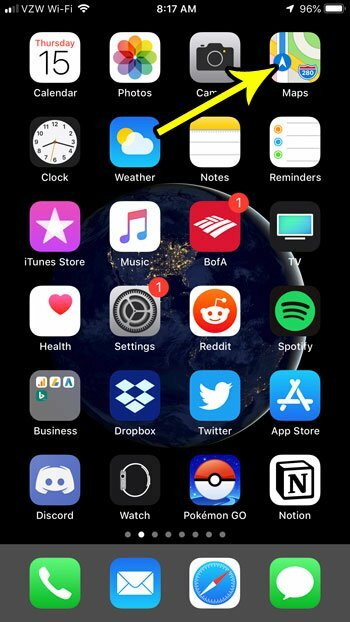 Do you often use the Maps app to get directions, but it always seems to give them to you for driving when you are walking or using public transportation? 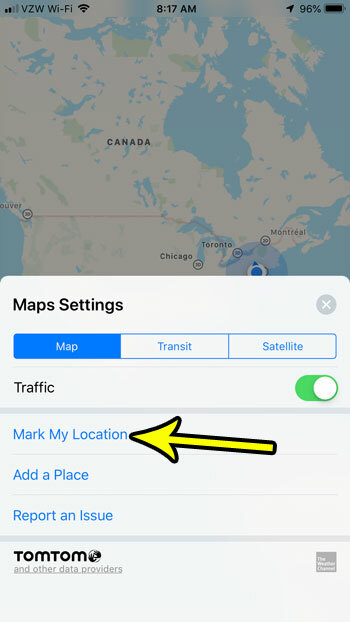 Find out how to change the default transportation type in Apple Maps so that your default directions are for the type of travel that you use the most.